Fagburn decided to throw heck to the wind and went on holiday today. 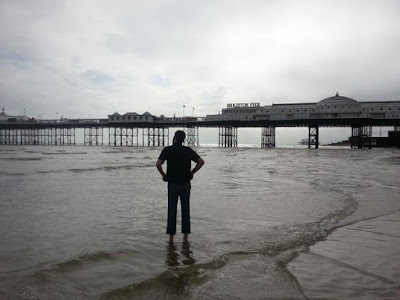 Here he is on the beach at Brighton! 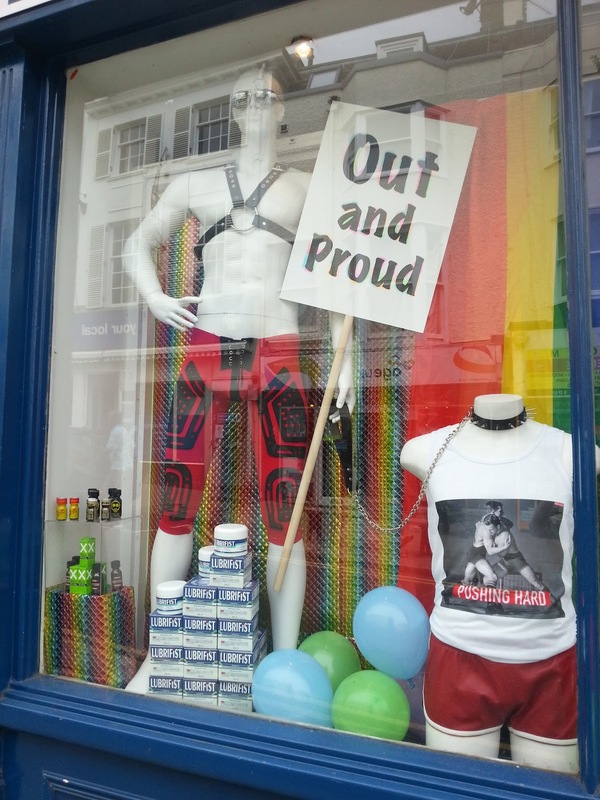 PS Loved this beautiful, thought-provoking and powerful Pride window display at Prowler Brighton - especially the stack of something called 'Lubrifist'.